I'm putting the Zappadan comix into a book and I'm working on a wrap-around image for the cover. There are currently 26 pages of story. I'll add a couple of bonus never before seen pages. Add the front, back, inside front cover, and inside back cover for a total of 32 pages of art, 8.5 x 11 inches. I'm going to have this one printed up myself, instead of going the Cafepress route. I'll have more details after talking to the printer. This is not a complete list of the Zappadan Elves, but it's what I could come up with in the time available to me. If I missed you, I'm sorry, leave a comment and link, and I'll post an update and add you. What's Black and Dog and Read all over? I'd also like to thank Karl Rove for his role as The Illinois Enema Bandit, Larry Craig as The Central Scrotumizer (it wouldn't be Zappadan without you Larry! ), Glenn Beck as Chico's Bail Bonds, Jim Plunkett (Why isn't Jim in the Hall of Fame? ), Tony Packo's, and The Great State of Ohio for being good sports. UPDATE: by way of Frank Swart, Don Was on liner notes. A day late and a dollar short at the end of Zappadan is par for the course here at Zencomix, but that's OK. It's all fun and games until someone loses a pie. To be continued...Meanwhile, I think it was in The Real Frank Zappa Book where Zappa described Captain Beefheart as "Howling Wolf on Thorazine". Darkblack has some linky love as well as some fine footage. Blue Gal and Driftglass talk about Zappadan on The Professional Left Podcast. Mock, Paper, Scissors has Frank's testimony to Congress regarding all the PMRC crap. Skippy notes that The Torture Never Stops. The Brain Police has Uncle Meat. The Iranianredneck has a group of kids doing Uncle Remus. 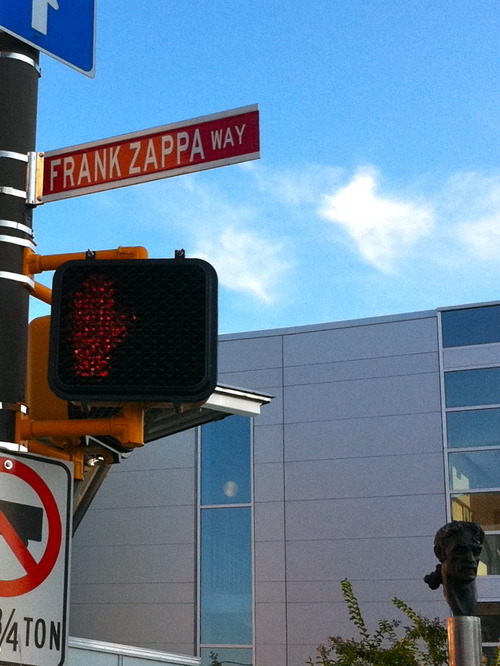 Warms my heart to see the kids into Zappa. 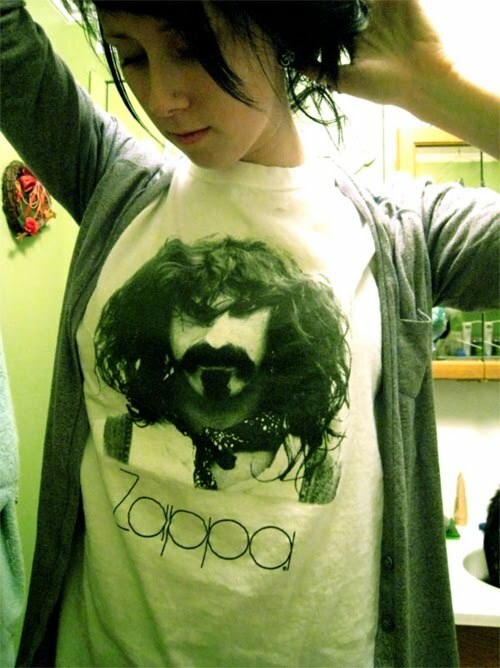 The Monkey Muck wished everyone a Happy Zappadan. You know who would've loved The Monkey Muck? Frank Zappa. Urantian Sojourn takes time to smell the Lancers Rose. Blckdgrd sends Happy Zappadan vibes out to everyone, and he always has a great collection of political/literary links, check it out! Lots more links at the Zappadan Twitter! And, also, too....I'm cross posting at The Aristocrats. I hope you are enjoying reading the comix as much as I'm enjoying drawing them!